CyberMiles is a next generation blockchain for smart contracts. Its Smart Business Contract is designed to be far more powerful than Ethereum Smart Contracts. It will be the next generation Ethereum (ETH). CyberMiles is optimized for e-commerce applications. It will provide a large library of commerce-related Smart Business Contracts, making it a breeze to build decentralized commerce applications. CyberMiles partner 5miles will migrate over 12 million US-based e-commerce users to the CyberMiles blockchain. 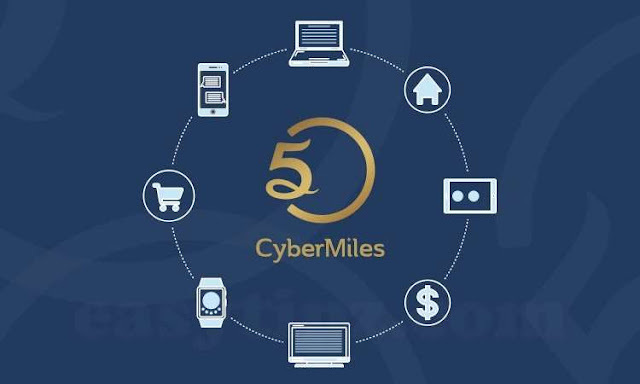 CyberMiles network will manage user identity, record credit history, reputation, and facilitate financial transactions. It does all without a central data store or clearing house, and hence ensuring privacy and safety. The user data is why other e-commerce applications will be built on CyberMiles. Similar to ETH on Ethereum, applications built on CyberMiles could use CMT to issue their own ICO. The market size for e-commerce applications is over $1 trillion. CyberMiles could support tens of thousands of transactions per second (TPS) through a state-of-the-art Proof of Stake (PoS) consensus engine. In contract, Ethereum today only supports 10 TPS. CyberMiles encourages effective participation. New tokens will be minted over time as the network grows. As holders of CMT tokens are crucial to the DPoS consensus, they have the opportunity to receive new tokens. CMT will become the first cryptocurrency to be used by over 12 million US-based users. The CyberMiles network will soon be several times larger than the Ethereum network. As the CMT is optimized for e-commerce use, it is designed to facilitate decentralized settlement like Ripple (XRP). XRP settles transactions between big banks, while CMT will settle transactions between e-commerce and peer-to-peer finance parties. 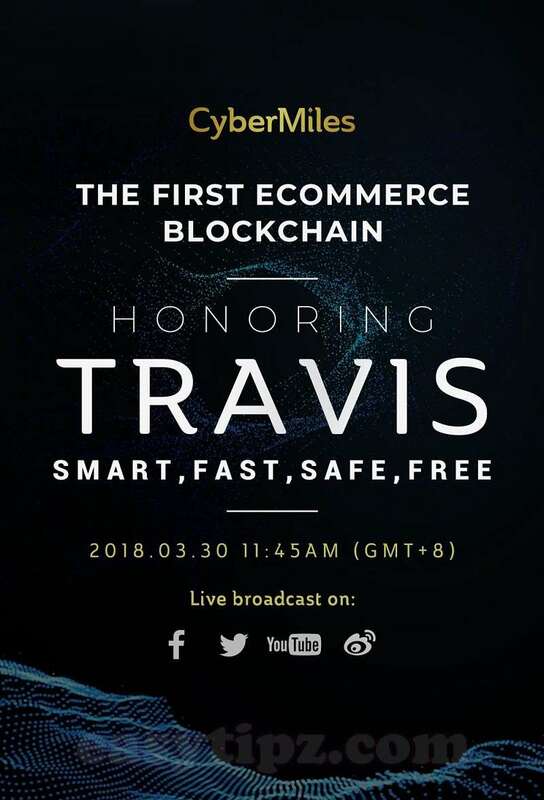 In the first release of the CyberMiles TestNet, code-named Travis, they focus on providing a strong alternative to Ethereum, especially for e-commerce use cases. CyberMiles is fully compatible with Ethereum and can run all Ethereum smart contracts and Decentralized Applications (DApps). Yet it is 100 times faster than Ethereum in terms of transaction per second (TPS). 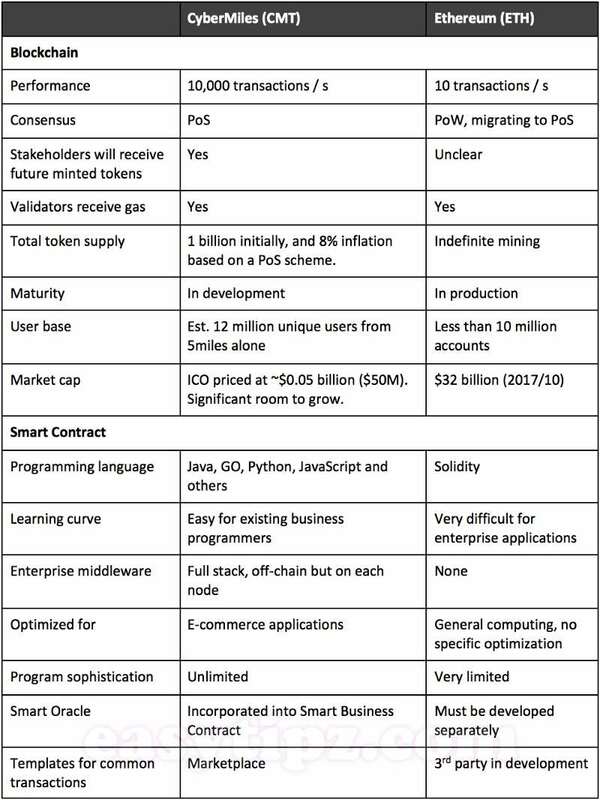 CyberMiles is safer than Ethereum. The CyberMiles blockchain proactively stops common smart contract bugs that had caused loss of fund on Ethereum. And if a loss of fund still occurs, CyberMiles supports an on-chain governance process to transparently recover the fund through community consensus. CyberMiles is more user-friendly and cheaper to use than Ethereum. The CyberMiles blockchain waives transaction fees for most common operations. It achieves this without sacrificing security of the network. CyberMiles Travis TestNet has been released on later Mar, 2018 and CyberMiles team will live broadcast on Friday, March 30 at 11:45 AM (GMT+8). Follow their social channels to get latest updates.